Is CAIR a Terror Group? We who follow the Islamist movement fell off our collective chair on Nov. 15 when the news came that the United Arab Emirates' ministerial cabinet had listed the Council on American-Islamic Relations (CAIR) as one of 83 proscribed terrorist organizations, up there with the Taliban, Al-Qaeda, and ISIS. This came as a surprise because the UAE authorities themselves have a record of promoting Islamism; because CAIR has a history of raising funds in the UAE; and because the UAE embassy in Washington had previously praised CAIR. On reflection, however, the listing makes sense for, in recent years, the Islamist movement has gravely fractured. Sunnis fight Shi'is; advocates of violence struggle against those working within the system; modernizers do battle against those trying to return to the seventh century; and monarchists confront republicans. This last divide concerns us here. After decades of working closely with the Muslim Brotherhood (MB) and its related institutions, the Persian Gulf monarchies (with the single, striking exception of Qatar) have come to see the MB complex of institutions as a threat to their existence. The Saudi, Emirati, Kuwaiti, and Bahraini rulers now view politicians like Mohamed Morsi of Egypt as their enemies, as they do Hamas and its progeny – including CAIR. Can a Washington-based organization with ties to the Obama White House, the U.S. Congress, leading media outlets, and prestigious universities truly be an instigator of terrorism? 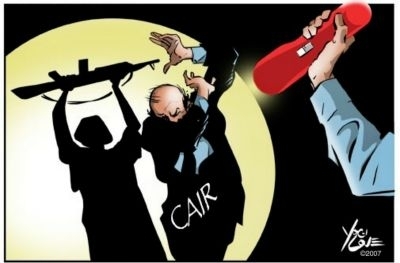 CAIR can rightly be so characterized. While the Gulf monarchs have not become any less Islamist, they have acquired a clear-eyed appreciation of the harm that MB-related groups can do. Having explained why the UAE listed CAIR on its terror manifest, we must pose a second question: Is the listing warranted? Can a Washington-based organization with ties to the Obama White House, the U.S. Congress, leading media outlets, and prestigious universities truly be an instigator of terrorism? Apologizes for terrorist groups: Challenged repeatedly to denounce Hamas and Hezbollah as terrorist groups, CAIR denounces the acts of violence but not their sponsors. 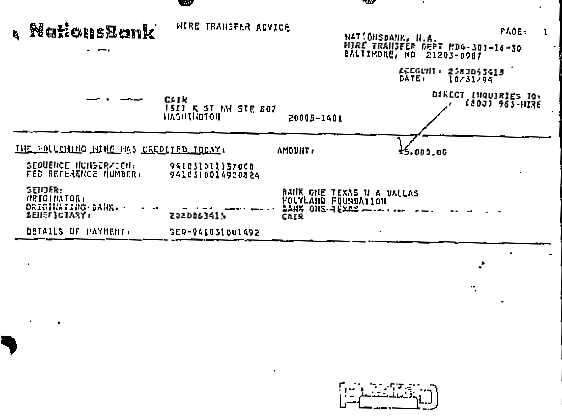 The Holy Land Foundation, a Hamas front group, made an early $5,000 donation to CAIR to help establish it. Is connected to Hamas: Hamas, designated a terrorist organization by the U.S. and many other governments, indirectly created CAIR and the two groups remain tight. 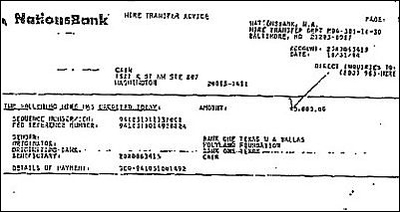 Examples: in 1994, CAIR head Nihad Awad publicly declared his support for Hamas; and the Holy Land Foundation (HLF), a Hamas front group, contributed $5,000 to CAIR; in turn, CAIR exploited the 9/11 attacks to raise money for HLF; and, this past August, demonstrators at a CAIR-sponsored rally in Florida proclaimed "We are Hamas!" "CAIR actively supports terrorists and terrorist supporting groups and nations." Is in trouble with the law: Federal prosecutors in 2007 named CAIR (along with two other Islamic organizations) as "unindicted co-conspirators and/or joint venturers" in a criminal conspiracy to support Hamas financially. In 2008, the FBI ended contacts with CAIR because of concern with its continuing terrorist ties. On learning of the UAE listing, CAIR called it "shocking and bizarre," then got to work to have the Department of State protest and undo the ruling. Nothing loath, department spokesperson Jeff Rathke noted that the U.S. government, which "does not consider these organizations to be terrorist organizations," has asked for more information about the UAE decision. The UAE minister of state for Foreign affairs replied that if organizations can show that their "approach has changed," they are eligible to appeal "to have their names eliminated from the list." Pressure from the Obama administration might reverse the UAE listing. Even so, this will not undo its lasting damage. For the first time, an Islamist government has exposed the malign, terroristic quality of CAIR – a stigma CAIR can never escape. Mr. Pipes (DanielPipes.org) is president of the Middle East Forum.